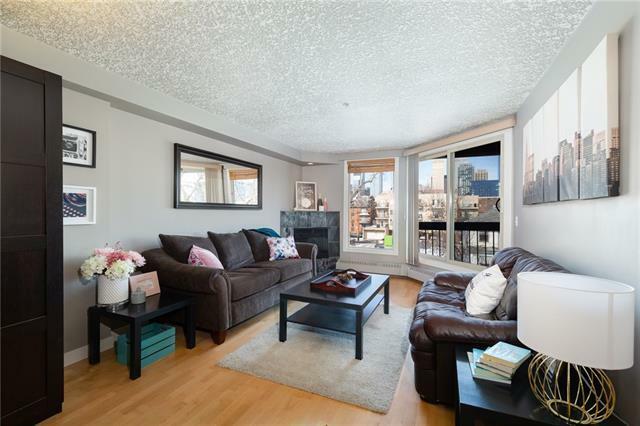 This sophisticated one bedroom plus den condo in the desirable Taymar Building located in the heart of Mission is waiting to welcome you home! 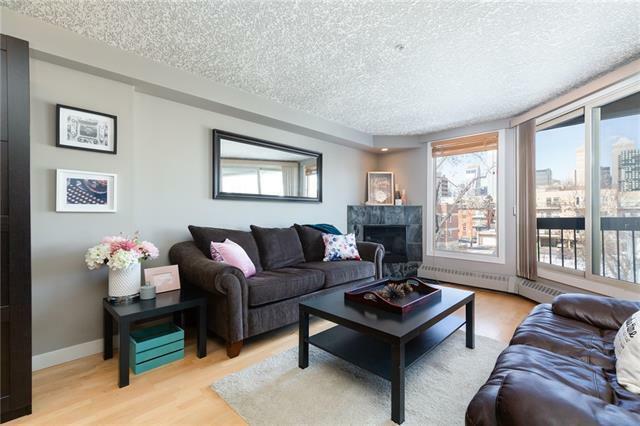 This unit features an open concept, perfect for entertaining. The gorgeous kitchen is a chefs dream and features beautiful cabinetry, stunning granite countertops, and a functional island eating bar. Adjacent to the kitchen is the den, which provides the perfect space for a home office or formal dining area. 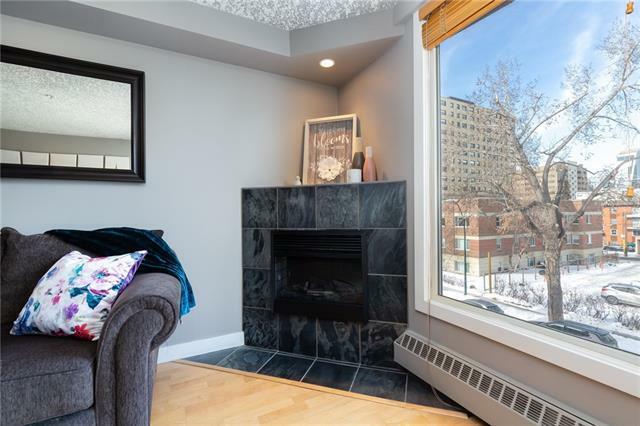 The bright, open living room boasts a corner electric fireplace and leads out to a large, private deck with spectacular downtown city views! The spacious master suite can easily accommodate a king-sized bed and features a very generous walk-in closet. Beautiful hardwood floors flow throughout the living room, dining room, den and master suite adding an elegant touch to the space. 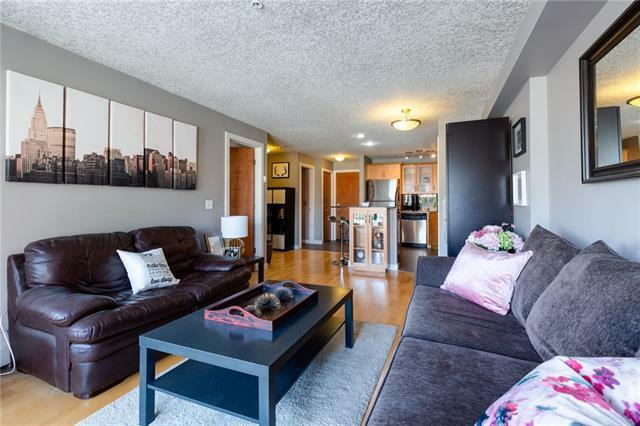 This building features concrete construction and a healthy reserve fund and is centrally located within walking distance of fabulous restaurants and nightlife. Book your viewing now!